A 'lightbox' is a location where a user can store a collection of assets prior to previewing, sharing or downloading. Multiple light boxes: Allowing users to create as many separate light boxes as they need. Share internally: Choose to share lightboxes with other users of the system, notify them and optionally give them permission to add and remove from this shared resouce. Share externally - Publishing: Generate a snapshot of your lightbox along with a URL that you can share externally. Allow recipients to download all as a zip or review and download the few that they need. 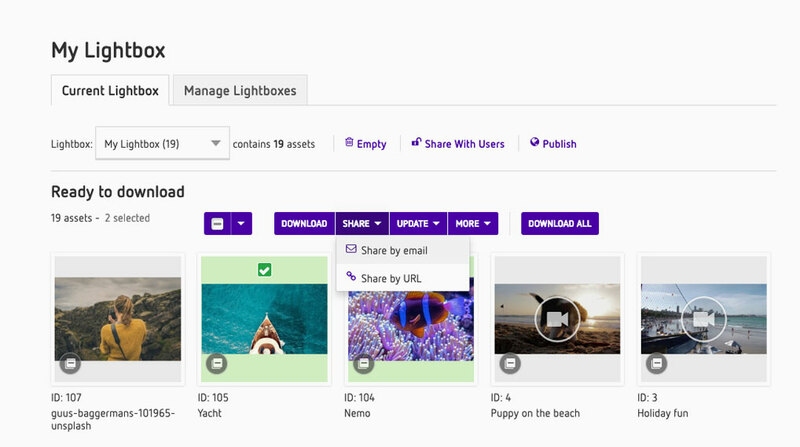 Ordering: You can sort by any attribute value, or alternatively use drag and drop to re-order your light box prior to sharing or creating an embeddable slideshow for example. Contact sheet: Allowing you to compare images side by side, including the flexibility of being able to display the attributes of your choice. 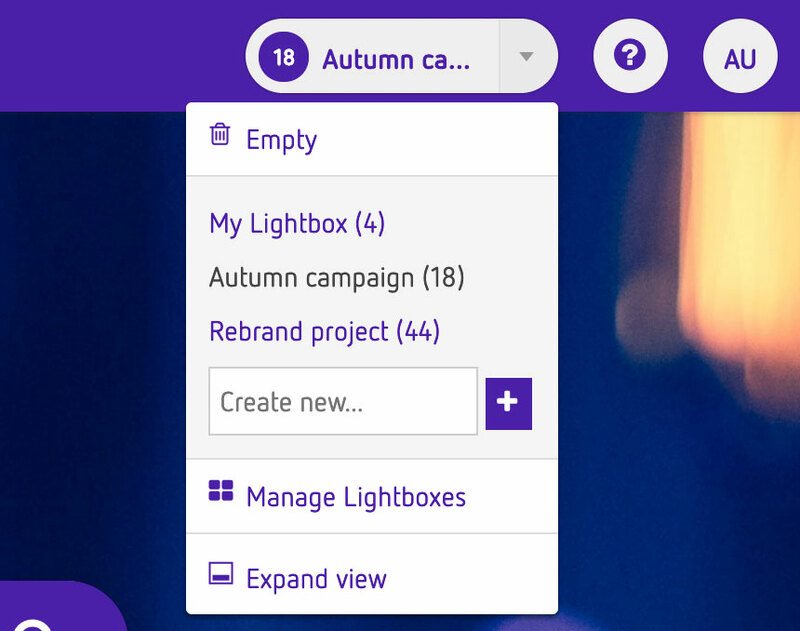 Manage: Reorder, alphabetise, copy, delete or share light boxes from one management page. Bulk Update: If you have permissions, allowing you to make changes to all the items in your light box at once (e.g. adding a new keyword). Slideshow & Photo Essay: You can quickly view the contents of your light box as a slide show, or generate a Photo Essay. Dependant on the users permissions, these can then either be added to the homepage or embedded into other sites.